If you follow this Web page, you have noticed the posts have been few and far between. I was gone for the month of June with no access to my computer where all the photographs are stored. Upon my return, I began an intense campaign to finish the book on Margaret Moseley. I'm almost there. Of course, I keep moving the deadline, but I just have a bit more writing and proofreading to do. Then, I hope to get back to a more regular schedule. What struck me in the last day or two is how the element of time plays out for different people. 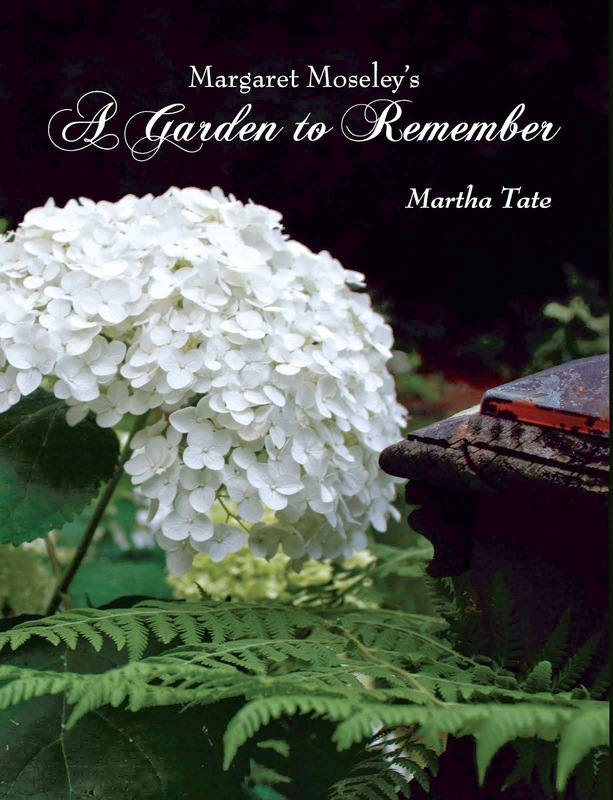 Margaret Moseley, the subject of the book, started her garden at age 52. I met her when she was 78 years old, and she was just hitting her stride. At 88, she was still out there, digging holes, giving away plants, moving shrubs to other beds and adding to her collections of hydrangeas, viburnums, camellias and sasanquas. Also, she was still combing the garden centers for new introductions. Margaret is 97 now, and she's not supposed to work in the garden anymore. However, I have reports that she is cheating. A friend went out to take some photographs for the book, and Margaret kept bending down and pulling weeds. It's driving her crazy not to be out there every day as she did for four decades. Maybe because she got a late start, or maybe it was because she just enjoyed every aspect of making and maintaining a garden, but Margaret never lost her enthusiasm for plants and watching things grow. Did that fact keep her mind clear and her sense of humor intact? I think it helped. She thinks so, too. She's said many times over, "I can't tell you what it's done for me. I wish everybody could have a garden." I chose the photograph above because I took it around this time in July, which can be a downtime for gardens in this area, unless they are planted with summer, sun-loving flowers. The couple who created this amazing space in their back yard enjoyed the challenge for years. They started gardening in their thirties and would get new ideas and change things around, or they'd discover new plants they wanted to try and develop new areas. Not too long ago, I ran into the wife. She said she and her husband were leaving the yard up to a garden designer now and were just doing maintenance. But, they definitely got a good twenty worth of fun and enjoyment in creating a very beautiful garden. They were always gracious and welcoming to visitors and tour groups, but they've moved on now to other interests. I think it's different for everyone. For Margaret the passion for gardening has endured. I am a good ten years out from the age Margaret was when I met her. She gives me hope that even though I don't have things the way I want them now, there's still time for me (once I solve my deer problem). Because of you I'm enjoying my garden so much in my twilight years. Thank you. Little did Margaret know at the moment that she was a long way from any twilight years. All through her 80's and into her 90's she was out there digging and rearranging and enjoying having visitors and tour groups to her garden. I think there's something about plants that can keep you going - always something to learn and always that hope of the next season or the next week or the next day to make a discovery, or to find a plant again that you thought had been lost. "That's why this is the greatest hobby in the world," says Margaret. "It's so exciting. There's something new every day."